From your vision our designers can make your kitchen dreams come true. Our designers will visit your home, assess your space, needs and lifestyle and discuss your personal ideas so that the kitchen design you invest in meets all of your requirements. At Panorama Kitchens in Liverpool, our long experience and contemporary approach to bespoke kitchen design combine to offer customers unrivalled customer service, quality and ultimately desirable kitchens. 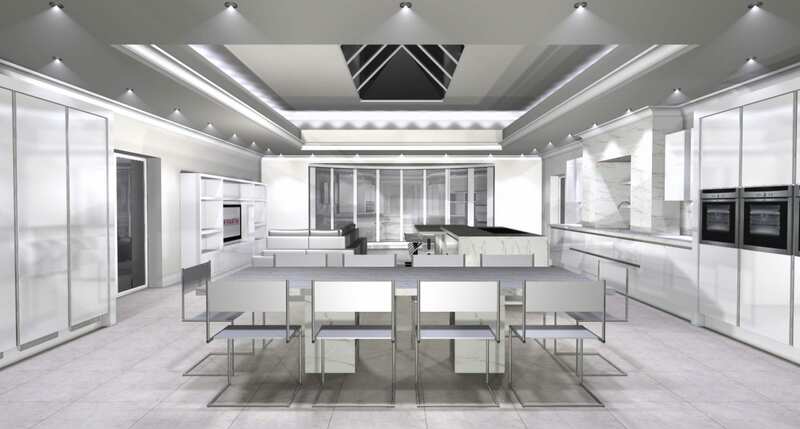 With two showrooms in Liverpool and Wirral on Merseyside showcasing traditional styles to the very latest ultra-modern European trends, we can provide architects and developers with stunning and innovative kitchen designs that will maximise selling potential. We work in close partnership with all of our contract customers and offer a complete kitchen design package including a technical survey, ensuring that we exactly meet the most detailed brief every time. In short, we pull out all the stops to impress our customers so that you, in turn, can inspire yours. logistical challenges presented by inner-city, high rise developments. From kitchen delivery access to on-site health and safety requirements, you can be confident that the Panorama team will provide a professional high level of service to ensure that your kitchens arrive safely and on-time.